What Happened to Ashton on 'Below Deck'? — Plus Is He OK Today? Last week's episode of Below Deck: Tahiti was absolutely wild. Not only did we find out that Ashton was the "man overboard" the series had been teasing over the past two weeks, we also met the newest additions to the crew of My Seanna after Chandler and Caroline's dramatic exits. A split-second man overboard moment at the end of last week's episode left the whole cast shook. 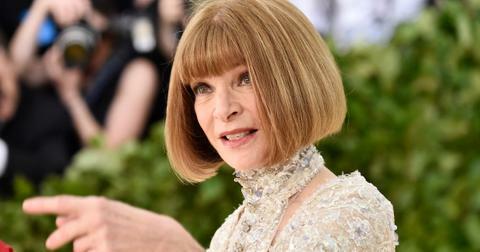 "It was the worst two hours of my life," Kate revealed in the series' After Show. "I didn't know how serious the situation was at the time, or even until much later because the guests had just arrived — it's a very busy time for everyone," she went on to say. Viewers were clamoring for more. 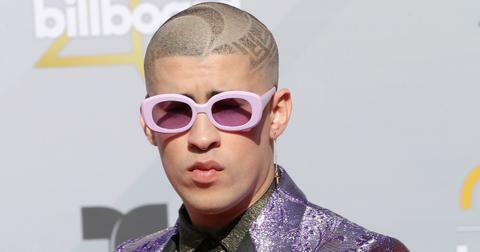 One took to reddit to ask, "Does anyone have an info regarding Ashton going overboard? Did he sustain major injuries? Is he okay? What exactly happened?" Others braced themselves for the worst after Ashton didn't appear with the rest of Below Deck's cast on last week's Watch What Happens Live. I, for one, cannot believe they would end the episode with a "To Be Continued..." card reminiscent of the '90s, and will definitely be tuning in to see what happens next. Is Ashton OK after going overboard? Judging from his Instagram and Twitter posts since the accident, it's safe to assume Ashton is fine. "He wasn't on because we decided we would rather wait for the whole scene to play out before we discussed it," WWHL host Andy Cohen wrote on Twitter. Ashton assures fans that's "why I didn’t end up being on #wwhl on Tuesday night." 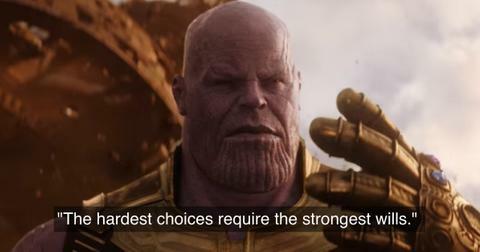 "Sorry for the confusion," he added, "hopefully I will get my chance soon." But you have to admit, it was a really unexpected twist for the crew of My Seanna, especially for such an experienced deckhand. In fact, rookie Tyler (my new favorite member of the cast) revealed Ashton was intimately familiar with the dangers of the lines, and had actually cautioned everyone from walking around them, for the exact fear of falling in the water. "Ashton told us, they're super dangerous, don't step over those lines because they go out," Tyler told fellow newcomer Laura during the after-show. "Then he stepped over the line ... and he just slid out. It was like, whoa. Dude's overboard," he said. An unnamed source who opened up to All About the Tea about the incident said Ashton's ankle was so destroyed, he "only narrowly escaped amputation." OMG! Just this morning, Ashton took to Instagram to post a photo from above the clouds and captioned it, "Cloudy days are not my favorite on the ground but man, I appreciate them from the sky! Try taking a different point of view, you never know what beauty lies in the eyes of a different." So, we're assuming things are looking up for this deckhand and hopefully the dangerous accident gave him a new lease on life. 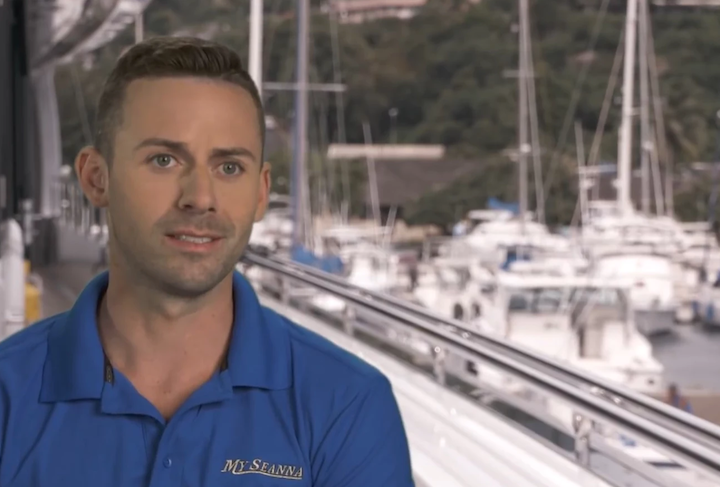 What happened to Chandler on 'Below Deck'? Bosun Chandler had been clashing with everyone this season, from the stewards to the deckhands, and it seems most of My Seanna was not too sad to see him go. As fans might recall, chief steward Kate had been telling Captain Lee that something needed to change in their team, after one of the messiest days of the season ended with a disorganized beach party and a young guest cutting his foot on glass. Following those two inhospitable disasters, Captain Lee summoned Chandler to the wheelhouse after all the guests left and fired him from My Seanna with Kate as his witness. Honestly, this came as no surprise because he was a dysfunctional mess who couldn't help the team at all. "As every episode progresses, Chandler looks stupider and stupider," wrote one hater on Instagram. Another added, "Chandler was just power-hungry and woudn't listen to anybody." But his dysfunctional messiness also made it kind of sad for us to see him go. Suffice it to say, his attitude will be missed, but it seems the crew is getting on just fine with communicative Ross as the new bosun. Let's just come out and say it, he has much better leadership skills, and is a much better fit for the job. With Ross stepping in for Chandler as My Seanna's new bosun, Captain Lee had to rush to get the team another deckhand. Enter Washington native and adrenaline junkie, Tyler Rowland. "People definitely think I'm just the surfer dude," he said when he came on board, "and they're absolutely right. I want to make a living jumping out of airplanes into forest fires." While it was stressful that he arrived just hours before the guest, I have a good feeling Tyler will be up to the task. Follow his many adventures on Instagram and hear what he has to say about the show and more on his Twitter account. Meet new stew Laura Betancourt — aka Caroline Bedol's replacement. Honestly, I was very not sad to see annoying Caroline leave My Seanna last week. After being an all-around terrible team member and making everyone else pick up her slack, she really cemented herself as the worst when she shattered the champagne glasses after the disastrous picnic and let a child bleed out after cutting his foot on a glass. Not cool, Caroline! Also, I wasn't here for her pity party dramatics. As one Below Deck fan put it on Instagram, "I can't get over Caroline! Goes to the doctor AGAIN and think she's gonna sit down and eat ice cream while everyone's working and BEEN working?! 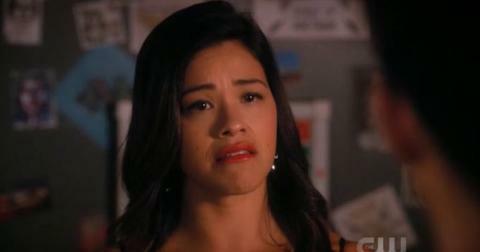 What makes her think she's more important or special than everyone else?" Preach. The steward who came to fill in her shoes is Canadian "valley girl" (as Kate keeps referring to her), Laura Betancourt. From the second she arrives, it's clear she has a lot of opinions about how the yacht should be run. But things quickly go south when she proves she can't even serve her guests champagne without shattering seven flutes on the floor. Hey, unlike Caroline, at least Laura cleaned up after herself and made sure no one was injured because of her carelessness. Follow these links to see her Instagram and Twitter pages — I'm sure all the guys on the show are already smashing those likes, given how hard Ashton and Adrian were trying to get in her pants. 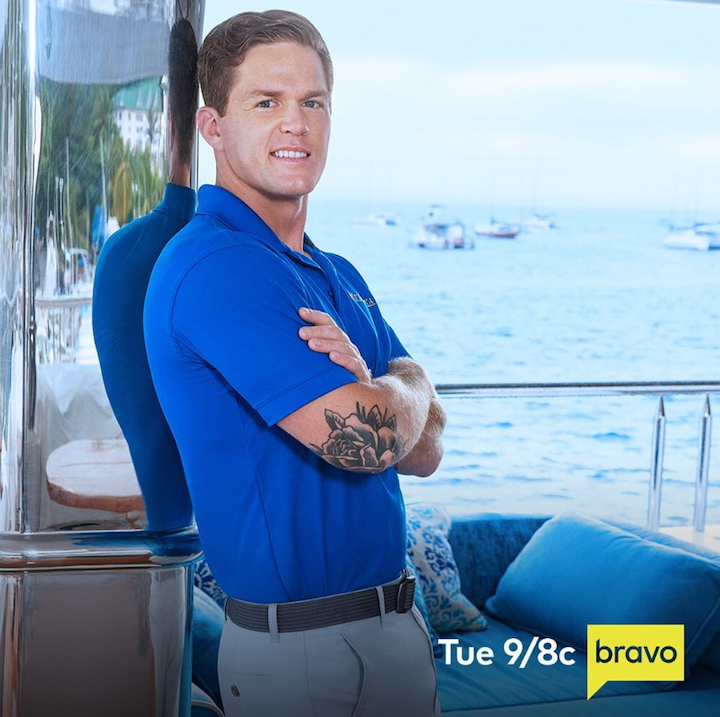 Don't miss Below Deck on Tuesday at 9 p.m. on Bravo.